Surrey History Centre and the Queen’s Royal Surrey Regimental museum have joined forces to launch a unique online resource giving access to four centuries of archives relating to the Surrey regiments and the memories, stretching back to the 1930s, of soldiers who served with them. ‘Buried Battles and Veterans’ Voices’, a £48K Heritage Lottery Funded project, in partnership with the National Archives which began in 2006, has recorded for posterity the experiences of veterans who served with the regiment and its predecessors the Queen’s Royal Regiment (West Surrey) and the East Surrey Regiment. 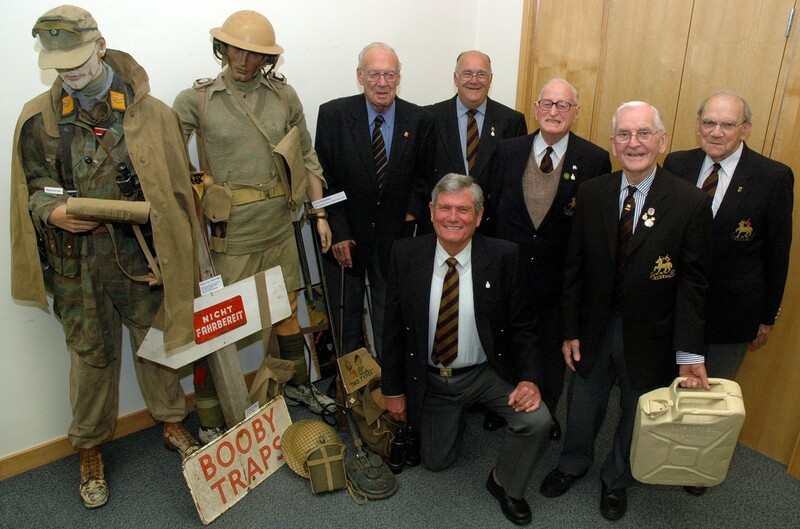 Online extracts from interviews with the veterans are accessible via the museum’s website http://www.queensroyalsurreys.org.uk/index.html allowing researchers to listen to old soldiers’ experiences of life in the regiment and of some of the defining moments of the Second World War such as Dunkirk, the fall of Singapore and the North African, Italian and Burma campaigns, as well as of vital but less well known post-war operations in Palestine, Korea, Malaya and Northern Ireland. The veterans’ reminiscences are grouped into the following themes: joining up; the army life; the North West Frontier; the Second World War in Europe and North Africa; the Second World War in the Far East; prisoner of war; serving with the regiments, 1945-1959; end of an era, 1959-1966; and what it meant to belong to the regiment. 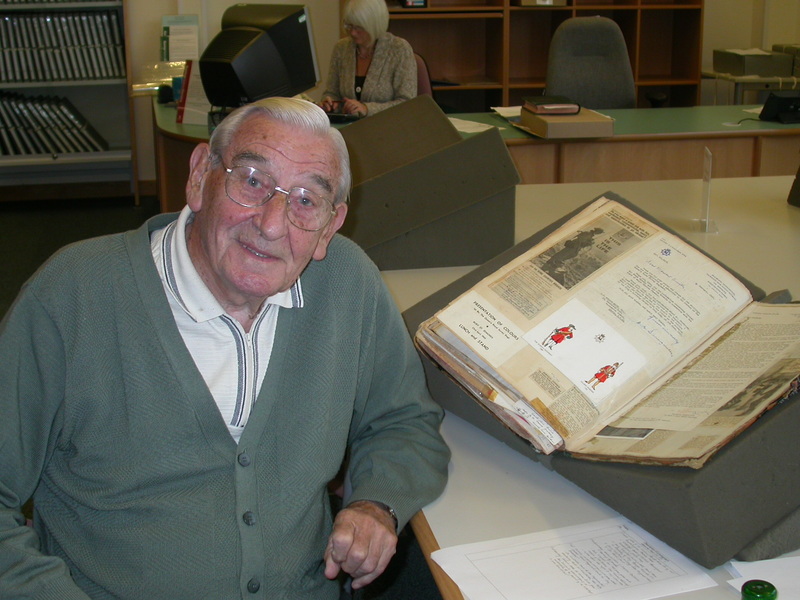 Toby Taylor, veteran of the 1st Battalion, the East Surrey Regiment, was delighted to be take part in the oral history interviews. Describing events such as the chaotic retreat to Dunkirk, he explained “…so many people don’t want to talk about the war but I do. It is a therapy for me, I live it all the time. I am reliving it, can’t escape from the damn thing. It does me good to get it off my chest a bit.” The interviews also have accompanying transcripts; the full versions of both interviews and transcripts are available for consultation at Surrey History Centre. A team of dedicated volunteers has also spent nearly 300 days indexing over 300 regimental photograph albums dating from the 1860s, enabling visitors to the History Centre to locate photographs of many thousands of those who served with the regiments all over the world. The photographs range from official regimental albums containing group photographs and sporting teams in which every soldier and officer is listed, to private albums compiled by serving soldiers which present a more informal and personal view of regimental life. The images are varied and emotive, embracing whiskered veterans of the Crimean War, the high life in India, the South African War, trench life on the Western Front and rescue efforts following the devastating Quetta Earthquake of 1935. Mike Page, who headed the project at Surrey History Centre is delighted with the project’s completion: “This has been a fantastic achievement. 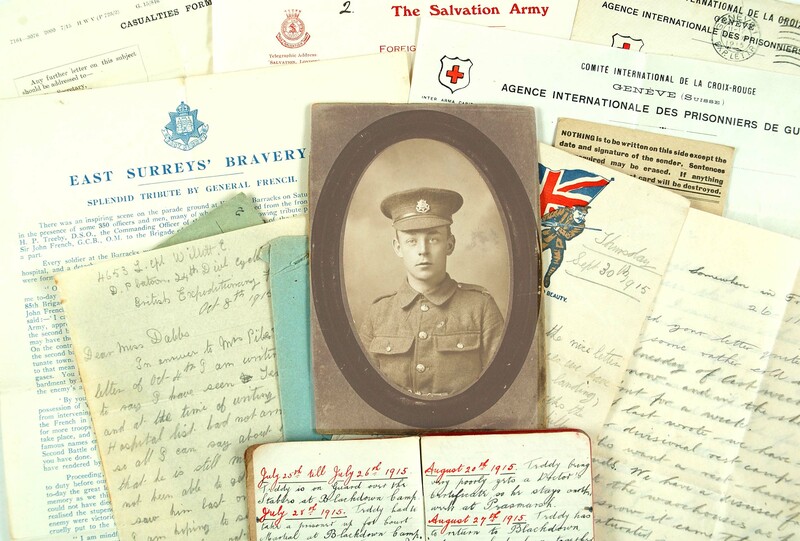 Not only is the vast archive now accessible to the hundreds of family and military historians who contact us every year but the memories of men from Surrey and elsewhere who served with the regiments are preserved for ever. The history and heritage of the regiment have been brought to life and can now been enjoyed by all”. A travelling exhibition featuring the work of the project and the history of the regiments has touring venues around Surrey and beyond over the last 12 months and is available for hire free of charge to interested parties.